Mr Hawking believes the current AI race will eventually usher humans into a stage when machines will become more intelligent than humans. This is when the total annihilation of humans would begin, Hawking claims. Of course, the AI community prefers not to hear such a prominent and respected science proponent say such things. Hawking was heavily criticized within the AI community recently, facing accusations of being a pessimist, and should inculcate the spirit of positivism in the AI debate instead. But despite the criticisms, Hawking is still expressing his views as an independent thinker in the arena of public discourse. Apart from the AI apocalypse, Hawking has summarized vices in humans that he thinks will destroy any progress made since the Stone Age period to current times. 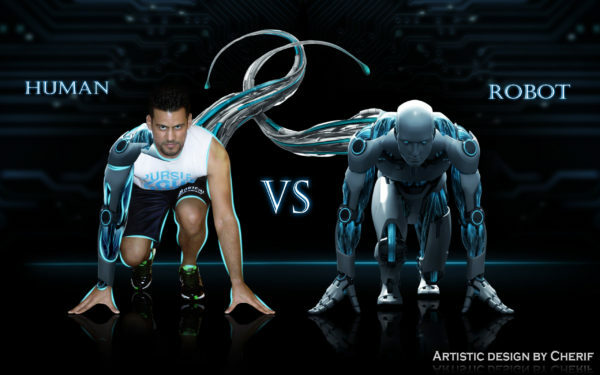 In an interview with Larry King on the Larry King Now talk show last year, the distinguished physicist said although he has talked about AI in the past as a tool that could spell doom for humans, he believes strongly that such inventions are inspired by human vices. 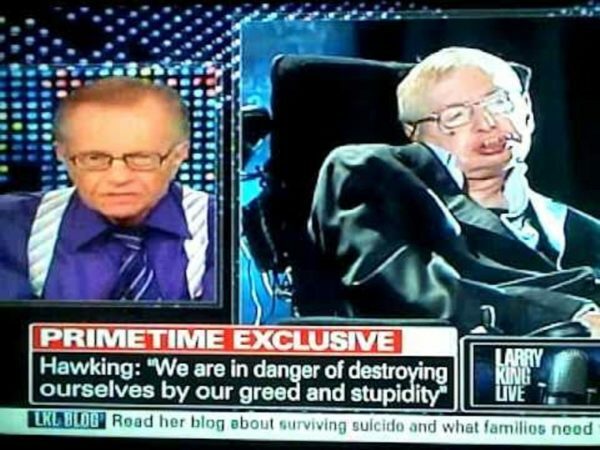 Hawking stated that greediness and stupidity are the biggest threats to humanity. He said these two vices will eventually drive humans into extinction, and earlier than he previously expected. According to Hawking, humans are becoming increasingly stupid and greedy with each passing day. He noted that there has been a massive air pollution problem in the last six years, killing many around the world. 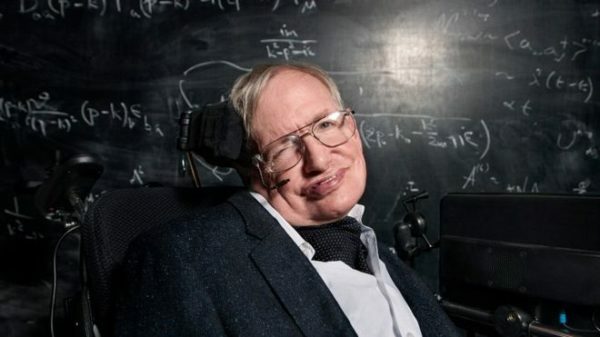 Hawking said the situation will continue to worsen, bringing along more deaths and strange diseases in the near future. If you look at what is currently happening across the world, people are increasingly being exposed to automated things. Smartphones, robots working amid humans, and unmanned vehicles to name a few. These machines are increasingly becoming more intelligent. On the other hand, humans seem to be losing their senses. 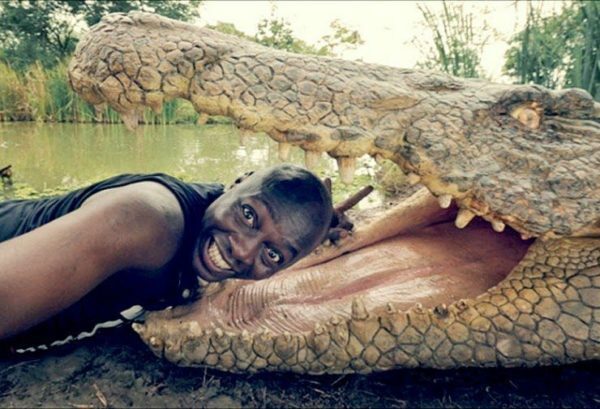 Due to proliferation of smartphones and other integrated cell-phones; some are literally dying or injuring themselves, just for a common selfie. Again, the Washington Post reported in January 2016 that about half of at least 27 selfie deaths in 2015 had occurred in India. No official data on the number of people who died taking selfies in India exists, but reports show from 2014 up to August 2016, there have been at least 54 deaths in India while taking selfies. This has encouraged the Indian Tourism Ministry to ask states to identify and barricade ‘selfie danger’ areas. 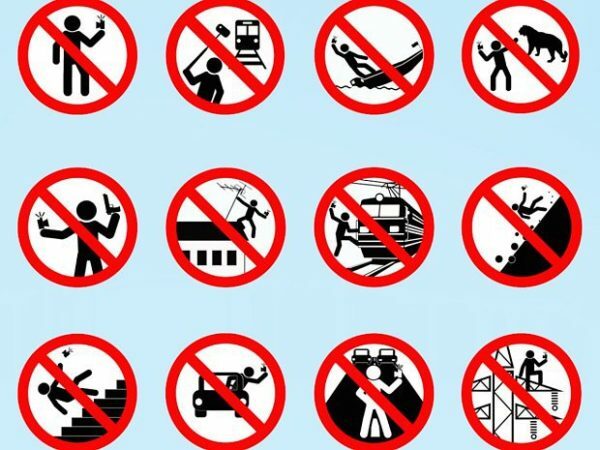 The goal of the sign is to try and stop or reduce selfie-related deaths in the country. This article was originally published on AnonHQ.com. Physicists have found hints that the asymmetry of life – the fact that most biochemical molecules are ‘left-handed’ or ‘right-handed’ – could have been caused by electrons from nuclear decay in the early days of evolution. In an experiment that took 13 years to perfect1, the researchers have found that these electrons tend to destroy certain organic molecules slightly more often than they destroy their mirror images. When nature defies gravity, maybe this can be something you do with your family, drive down to Oklahoma and try and figure out how this works. In the small town of Springer, Oklahoma (near Ardmore) lies an ordinary hill with a strange phenomena. If you put your vehicle in neutral at the bottom of the hill, it will suddenly appear to defy gravity as it rolls backward, uphill. Many theories exist about why things roll uphill instead of downhill. Whether caused by ghosts, a magnetic force, alien contact or an optical illusion, this is something you have to see for yourself. “Magnetic Hill” is located on Pitt Rd. in Springer, not far from Ardmore. With caution, position your car at the “bottom” of the hill and put your car in neutral. Take your foot off the brake and you will experience the thrill of your car not only climbing the hill by itself, but gaining speed as it goes. Other objects get pulled upwards, as well. Many cyclists report this strange phenomena happening with their bikes. Magnetic Hill is located 1 1/2 miles west of I-35 and Highway 53. Head west to Pioneer/Pitt Road, then turn north and go about 1/2 mile to the bottom of the hill (Pitt Road is NW of Springer, Oklahoma). As you drive to the bottom of the hill you’ll be heading north off Highway 53. Watch the video below to see Magnetic Hill in action for yourself, and to hear more about it. Have you ever visited Magnetic Hill in Springer? There is said to be a similar hill near Bartlesville on Gap Road at the Matoaka Switch. Whistleblowers, Ecocide, top secret trade deals, and shady ties between the Islamic State and the West’s closest allies…here are a few hot topics the mainstream media barely covered in 2015. The outpouring of fury, despair and grief by the corporate press over the November 13 Paris attacks highlighted the bias of the mainstream media towards western victims of terrorism. There were two suicide bombings in Lebanon the day before the events in Paris, killing 37 and wounding 180, but they were not mentioned much in the sensationalist coverage of France’s tragedy, nor were they mentioned in the minutes’ silences and vigils conducted across the Western world in the aftermath. 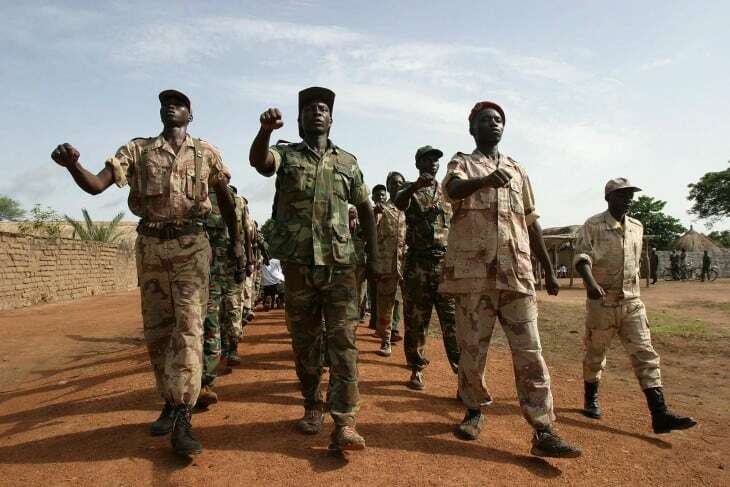 From the horrors of the Congo’s bloody civil war to Erdogan’s persecution of Turkish Kurds, from Boko Haram’s ongoing reign of terror in Nigeria, Chad, and Cameroon to the plight of Sudanese refugees, the mainstream media seems to pick and choose which human lives deserve ourempathy and which aren’t quite so important. As we previously reported, the Indonesian wildfires that caused devastation to the country’s people and wildlife last year were largely ignored by the mainstream media until several months after the devastating event began. The fires were started by loggers to clear the way for controversial palm oil plantations and caused health problems for over one million people. 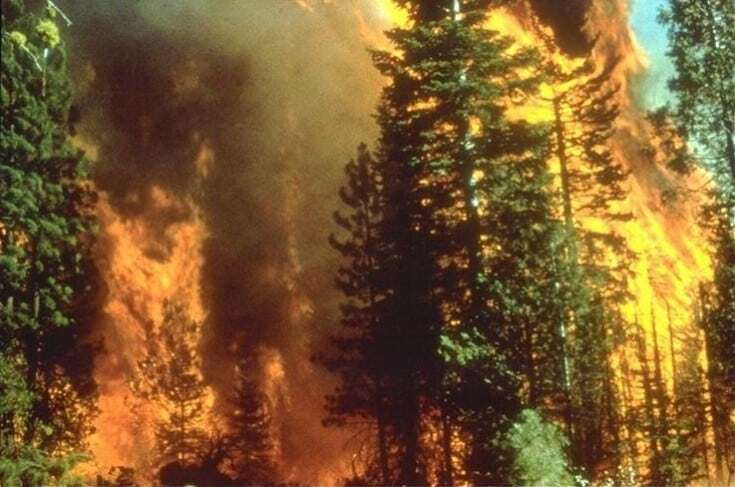 The World Bank estimatesthat the fires destroyed 2.6 million hectares (6.4m acres) of rainforest between June and October, costing $16.1bn and causing untold loss of life to the endangered animals who depend on the forests for their survival. Terrified orang-utans fleeing the disaster were abused in a sickening way by some Indonesian villagers. Ecocide on this scale should have been one of the biggest stories of 2015, but with the exception of Guardian columnist and environmental activist George Monbiot (who attacked his industry for censorship of the event), the tragedy was largely ignored to protect corporate interests. 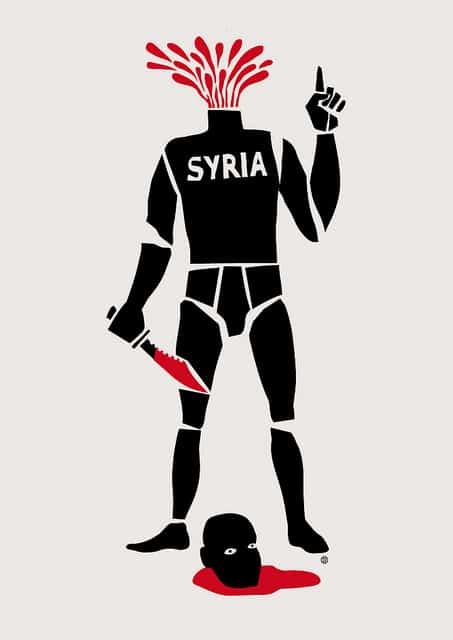 The terrorist attacks in Paris were used as justification by the French, British and German governments to join military strikes in Syria. They were also used as justification by the French government to severely restrict freedoms at home. As we reported, immediately after the terrible events of November 13, the French government began closing down alternative news sites. The President also declared that anyone’s house could be searched without a warrant, websites could be blocked without warning, and citizens could be put under house arrest without a trial. 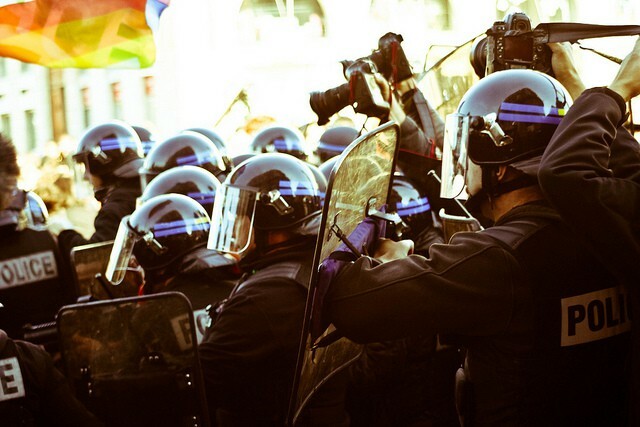 Activists hoping to march in Paris at last month’s Climate Conference were disappointed to learn that France’s state of emergency also included a ban on protests. Some French politicians are pushing to install GPS trackers in rental cars, re-write the Constitution to allow for martial law, block free wifi and Tor, and combine state databases, which would give the state access to citizens’ personal medical records. “I’m currently living in Paris, the city where some fanatics killed people because they were listening to music, watching a football match, or simply enjoy beers in a bar. I was living in the neighbourhood of where those tragic event happened. Now I’m scared. I’m scared of my own country. France’s emergency measures were reported by the mainstream media, but there was little analysis or debate about whether they are justified: the myth we have to trade in our freedoms to get security has become a normal part of everyday life. Could be part of a bigger geo-political plan by the USA and Britain to destabilise the region, using the corporate press to lie to the public in order to gain popular support for more endless oil wars. The mainstream media continues to peddle the tired old narrative that the Western coalition are in Syria specifically to fight the I.S. If this were true, it would be logical for these countries to support Russia in its war against the terrorist organization. Yet coverage of Vladimir Putin in the corporate press continues to be entirely negative, despite the fact Russia single-handedly took out 40% of the Islamic State’s infrastructure in just one week. 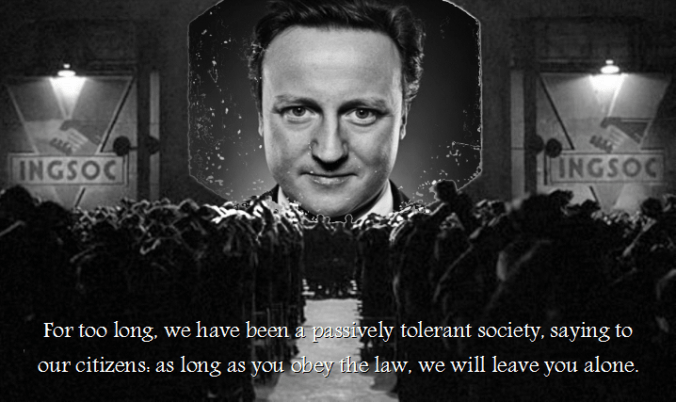 The revelations above have been completely censored by the corporate press, which is becoming less credible by the day. Last month, an English politician stood up in the Houses of Parliament and gave a speech calling for electoral reform. His request, backed by thousands of citizens, was blocked. The UK has an archaic system of voting which is unfit for purpose and entirely undemocratic: after unpopular Prime Minister David Cameron won the 2015 election with just 36% of the vote, millions of British people felt cheated. A petition was launched to demand proportional representation rather than the co-called ‘first past the post’ system, which benefits the major political parties but never the alternatives. In short, Britain is not the fair, democratic nation it pretends to be. News that Jonathan Reynold’s request (video here) for a fairer system was rejected should have been a big story in the UK, but the British media barely covered it. The TTIP (Trans-Atlantic Partnership Agreement) TISA, (Trade in Services Agreement) andTPP (Trans Pacific Partnership Agreement) are highly controversial and top secret deals that will affect the lives of every citizen of the planet, yet we apparently have no right to decide whether we want them- or even to know the exact details of the draft legislation. 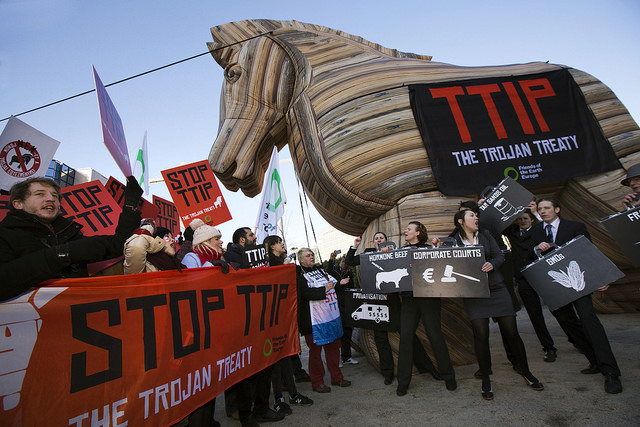 TTIP, in particular, is of huge concern. As we have reported, the deal threatens to allow corporations to sue governments who don’t do as they are told, kill online privacy, make frackingstandard procedure across 28 countries, privatise European health systems, force GMO food on unwilling citizens, strip us of our civil liberties, and ensure that corporations have control over the European parliament. Considering the impact all three of these trade deals will have on democracy, human rights, food safety and the environment, public awareness should be widespread. Worryingly, a huge number of people know next to nothing about TTIP, TISA and TPP. Far from questioning the secrecy of such important agreements or inciting a crucial public debate about whether these deals are ethical and democratic, mainstream coverage has glossed over the negatives and generally provided a biased view of the benefits of this corporate take-over of the world. Did we miss anything? Please share this article and let us know your comments below! Editor’s note: Original article can be found here. Several dashcams captured meteor entering Earth’s atmosphere and exploding over Bangkok, on the 7th of September, 2015. I’m still looked at strange when I ask for a water with no straw when ordering a drink at a restaurant. I can’t wait for the day when asking for a straw garners that same response. According to PETA (People for the Ethical Treatment of Animals)‚ garbage that washes into sewers or flies from beaches or landfills into the ocean can easily injure or entangle sensitive marine animals. On land, discarded plastic soda rings, bottles, cans and even straws can kill wildlife as well as cats and dogs. Thankfully there are many ways to prevent damage caused by everyday trash items.